Left: Allen McCloskey, submitted. Right, Rex Bohn, file. 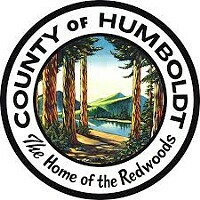 It's been a rough couple of weeks for voters in Humboldt County's First District. 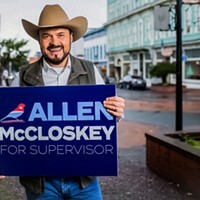 First, they watched as challenger Allen McCloskey's campaign to unseat two-term incumbent Rex Bohn in next year's election imploded in spectacular fashion. The Lost Coast Outpost's Ryan Burns published an investigative report April 2 detailing an assortment of allegations of dishonesty — including fraud and perjury — from McCloskey's past and how, when confronted with them, McCloskey unconvincingly shifted blame, claimed to be the victim of political attacks and, most fantastically, alleged that an unnamed doppelganger ex-boyfriend had impersonated him in court, leading to the perjury allegations. But before the proverbial ink was dry on Burns' exposé, email accounts pinged in newsrooms throughout the North Coast with an open letter from local community organizer — and vocal McCloskey supporter — Renee Saucedo calling on Bohn to resign. The letter detailed a comment that Bohn has since confirmed he made at a March 9 fundraiser, when he asked if a homemade Mexican food dinner was "so authentic that we're going to want to steal hubcaps after we eat." Saucedo said in the letter — rightly — that such "jokes" are hurtful and fuel the villainization of Latinx people. "Hate words have no place in the public discourse," she wrote. "They dehumanize and incite discriminatory behavior. ... Mr. Bohn should know that jokes re-enforce cultural attitudes, practices and policies that treat an entire community like criminals." Given its timing, some may be quick to dismiss Saucedo's letter as a piece of political chess aimed at muting the public evisceration of McCloskey's candidacy. But its points should in no way be dismissed or shrugged off. In addition to being an elected supervisor, Bohn holds a statewide leadership position as a board member and the past chair of the statewide Rural County Representatives of California. Locally, he's coached youth sports teams, founded the Redwood Field Committee and appears as an auctioneer at events for a myriad of causes. In short, his words matter to a wide swath of people. Which is what makes this incident so troubling. And his initial response only made things worse. This was all nonsense and apparently Bohn knew it, as when he spoke to the Journal hours later he took full responsibility and apologized. "I made a comment that offended people. I said it and I'm sorry," he said, adding that he will learn from the incident and "not say stupid comments anymore." That's, at last, the appropriate response but it doesn't undo the damage caused. It doesn't undo the fact that Latino community members have now heard their highest-ranking local representatives equate the authenticity of their heritage to criminality. It doesn't change the way the comment may have emboldened racists among us to say similar things, to feel validated in their beliefs or to believe they have an ally in county government. These consequences can't be undone with a late apology. And Bohn should know better. After all, he found himself amid the firestorm that followed a 2013 Ferndale youth fundraiser in which a white man dressed in blackface makeup and a dreadlock wig to impersonate singer Rick James. Bohn was in attendance that night and said he found the performance "pretty amusing," according to a report in the Ferndale Enterprise, later saying he could "see people's point" that it was offensive, given the fact Ferndale High School was sanctioned a couple of years earlier after fans hurled racial slurs at opposing players. This is all to say the people of the First District — and Humboldt County as a whole — deserve better. 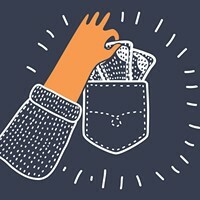 We deserve candidates for public office with backgrounds free of fraud and perjury, and we deserve elected representatives who don't make dehumanizing statements, especially not amid a national backdrop in which such ethnic slurs are being used to gin up votes with real and catastrophic human consequences. To be plain, this week in the First District mirrored our nation's politics, with frauds blaming the media for their transgressions and our leaders uttering words of hate and division rather than love and unity. We're better than this and our leaders should be, too.